The Egyptians’ preoccupation—almost obsession— with the ideas of birth and rebirth was a fundamental element of their funerary beliefs: rebirth was one of the stages of existence in the afterlife. Egyptian texts state clearly that “the soul is in heaven, the body in the earth” [Pepi I Tomb]; i.e., they never expected the physical body to rise again. 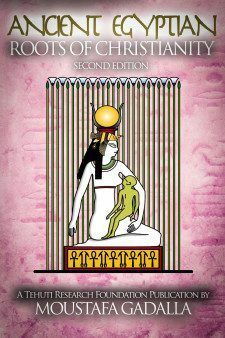 …he [Osiris] who giveth birth to men and women a second time. “The Egyptians”, according to Herodotus, “were the first to maintain that the soul of man is immortal”. The doctrine of transmigration is also mentioned by Plutarch, Plato, and other ancient writers as being the general belief among the Egyptians, and it was adopted by Pythagoras and his preceptor Pherecydes, as well as other philosophers of Greece. In a book of instructions, an Egyptian King advised his son, the prince, to attain the highest qualities because upon his death, he would see his whole lifetime in a single instant, and his performance on earth would be reviewed and evaluated by the judges. Even as far back as the period of the 6th Dynasty we find the idea that heaven was reserved for those who had performed their duty to man and to the Divine Powers while on earth. No exceptions were made for a King or anyone else. he hath not been accused of sin in heaven before the neteru (gods, goddesses). 1. The soul of the deceased is led to the Hall of Judgment of the Double-Ma-at. She is double because the scale balances only when there is an equality of opposing forces. Ma-at’s symbol is the ostrich feather, representing judgment or truth. Her feather is customarily mounted on the scales. 2. Anubis, as opener of the way, guides the deceased to the scales and weighs the heart. The heart, as a metaphor for conscience, is weighed against the feather of truth, to determine the fate of the deceased. 3. The seated Osiris presides in the Hall of Justice. The jury consists of 42 judges/assessors. Each judge has a specific jurisdiction over a specific sin or fault. Each wears a feather of truth on his/her head. 4. The spirit of the deceased denies committing each sin/fault before its assigned judge, by reciting the 42 Negative Confessions. These Negative Confessions come from Chapter CXXV of The Book of the Coming Forth by Light (commonly known as The Book of the Dead). The assigned juror/judge will declare his/her acceptance by declaring Maa-Kheru (True of Voice/Action). Here is a translation of the 42 Negative Confessions. Some of them may seem repetitive, but this is caused by the inability to translate the exact intent and meaning of the original language. 1. I have not done iniquity. 2. I have not robbed with violence. 3. I have not stolen. 4. I have done no murder; I have done no harm. 5. I have not defrauded offerings. 6. I have not diminished obligations. 7. I have not plundered the neteru. 8. I have not spoken lies. 9. I have not uttered evil words. 10. I have not caused pain. 11. I have not committed fornication. 12. I have not caused shedding of tears. 13. I have not dealt deceitfully. 14. I have not transgressed. 15. I have not acted guilefully. 16. I have not laid waste the ploughed land. 17. I have not been an eavesdropper. 18. I have not set my lips in motion (against any man). 19. I have not been angry and wrathful except for a just cause. 20. I have not defiled the wife of any man. 21. I have not been a man of anger. 22. I have not polluted myself. 23. I have not caused terror. 24. I have not burned with rage. 26. I have not worked grief. 27. I have not acted with insolence. 28. I have not stirred up strife. 29. I have not judged hastily. 30. I have not sought for distinctions. 31. I have not multiplied words exceedingly. 32. I have not done neither harm nor ill.
34. I have not fouled the water. 35. I have not spoken scornfully. 36. I have never cursed the neteru. 37. I have not stolen. 38. I have not defrauded the offerings of the neteru. 39. I have not plundered the offerings of the blessed dead. 40. I have not filched the food of the infant. 41. I have not sinned against the neter of my native town. 42. I have not slaughtered with evil intent the cattle of the neter. a. If the pans are not balanced, this means that this person lived simply as matter. As a result, Amam (Ammit) would eat this heart. Amam is a protean crossbreed. The unperfected soul will be reborn again (reincarnated) in a new physical vehicle (body), in order to provide the soul an opportunity for further development on earth. This cycle of life/death/renewal continues until the soul is perfected, by fulfilling the 42 Negative Confessions, during his life on earth. b. If the two pans are perfectly balanced, Osiris gives favorable judgment, and gives his final Maa-Kheru (True of Voice). The perfected soul will go through the process of transformation and subsequent rebirth. The outcome of his/her evaluation will determine which heavenly level (2-6) a person reaches. The object of one and all Ancient Egyptian transformational (funerary) texts was the same, namely, to procure the resurrection and immortality of the persons on whose behalf they were written and recited. Accompanying texts to the deceased varied in content and style. No transformational (“funerary”) texts of any two persons were ever the same. These texts were tailored to match each individual’s path. We find the same individuality of texts in the so-called “magical” papyri. The Egyptian texts described in detail the stages of the transformation process from man’s earthly existence to the different metaphysical realms. 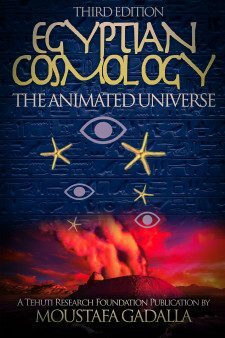 All these themes are treated with a profusion of details in The Book of Coming Forth By Light (Per-em-hru), wrongly translated and commonly known as The Egyptian Book of the Dead. It consists of over one hundred chapters of varying lengths, which are closely related to the Unas Transformational (Funerary) Texts at Saqqara. This book is to be found, in its complete form, only on papyrus scrolls that were wrapped in the mummy swathing of the deceased and buried with him. Other transformational (so-called funerary and religious) writings are also closely related to the above-mentioned Unas Transformational Funerary (Pyramid) Texts. Each text/writing explores the same basic theme of life/death/rebirth – i.e., the transformation of the soul in the region of the Duat after death – from a different angle. Since no two persons are alike, no two transformational texts are alike. These compositions are known as: The Book of What Is In the Duat (or Underworld), The Book of the Gates, The Book of Caverns, The Litany of Ra, The Book of Aker, The Book of Day, and The Book of Night. As a result of the performance evaluation, the departed spirits go to various realms depending on each’s achievement level during their earthly existence. the hail showers of the sky took hold of him. They let Unas ascend to Re. the smell of Unas comes to you, ye neteru. may you be together with Unas, ye neteru. In the Ancient Egyptian texts, the realized soul achieves glory and joins the Divine Origin. After a long series of adventurous journeys, the resurrected soul, justified and regenerated, will attain a place in the retinue of the neteru (gods, goddesses)—the cosmic forces—and eventually take part in the unceasing round of activity that permits the universe a continued existence. Glory is the radiant beauty of splendor and magnificence—heaven or the bliss of heaven—which is attained by the highest achievement. Glory is represented in artwork as a halo or a circle of light. In Ancient Egypt, the neter (god) Re represents the Light and is depicted as a circle. The relationship between the cycle of death and resurrection is reflected in the Egyptian form of the “name”of Osiris being Ausar, which consists of two syllables—Aus-Ra. The first syllable of the name (Aus-Ra) is pronounced Aus or Os, meaning “strength, might, power”. The name of the neter (god) means something like the strength of Re. This meaning describes the true essence of the neter (god) Osiris. In the cycle of Aus-Ra, Ausar (Osiris) is identified with the moon, the light of the night regions of the dead. Ausar’s Light is a reflection of Ra (Re), in one of his manifestations as the sun. Ausar died (analogous to the moon’s departure, near the end of the lunar month) and was resurrected the third day after that. The third day is the beginning of a new moon, i.e. a renewed Ausar. This is reminiscent of the Easter celebration where, like Ausar, the biblical Jesus died on Friday and was resurrected the third day (Sunday) as a new life. Ausar (Osiris) is written in hieroglyphs with the glyph of the throne and the eye, combining the concepts of legitimacy and divinity. Ra (Re) is associated with the glyph of the eye. The most distinctive Egyptian symbol is the eye, which plays many complex and subtle roles. The eye is the part of the body able to perceive the light, and is therefore a symbol for spiritual ability. Ra (Re) is the cosmic principle of energy that moves toward death, and Ausar (Osiris) represents the process of rebirth. Thus, the terms of life and death become interchangeable: life means slow dying; death means resurrection to new life. The dead person in death is identified with Ausar, but he will come to life agai, and will be identified with Ra. becomes a star of gold and joins the company of Re, and sails with him across the sky in his boat of millions of years.